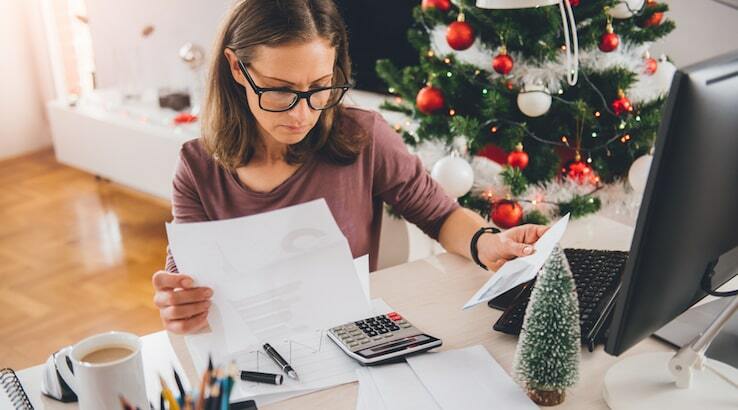 Christmas can be an expensive time of year, and when you’re under stress from the holidays, you don’t always make the soundest financial decisions. It’s easy to just put it on plastic and forget about it. Unfortunately, it takes on average five months to get out of Christmas debt and that’s on top of debt you may already have. Follow these tips if you want to stay out of debt. This can be a hard one, but it’s also the easiest way to stay out of debt this holiday season. The most effective way to start controling your debt is to stop adding to it. Only use debit or cash – in fact, using strictly cash is a great way to control your spending. There’s a psychological effect when you pay with cash that makes you feel your wallet getting lighter, and motivates you to spend less. This one may not be easy either, especially with kids, but it’s important that you set realistic expectations for the holidays. The latest and most expensive electronics shouldn’t be on your Christmas gift list if you’re trying to get out of debt. Now is a great time to reinforce the lesson that Christmas is about more than just gifts. Another way to cut down on expenses is to stick to one nice gift for everyone in your immediate family, and not worry about making it look like Santa dropped his whole sleigh under your tree. One nice gift is a lot better than half a dozen boxes of things you may not want at all. When you have a budget for the holidays, start by buying the essentials: food, gifts, and any necessary travel expenses. Once you’ve done that, you can see how much you have left over. Extras you can cut out of your holidays may include decorations or fancy drinks. You may want to scale back any Christmas parties you usually plan as well. One way you can get out of debt is by talking to a bankruptcy trustee, now called a Licensed Insolvency Trustee. Bankruptcy trustees like David Sklar & Associates offer ways for you to get out of debt, including credit counselling, bankruptcy, and consumer proposals. Even if you can afford to make debt payments now, what would happen if interest rates went up or you lost part of your household income? The sooner your start managing your debt, the sooner you can enjoy financial security and reduced stress. Bankruptcy trustees like David Sklar & Associates help you get control of your debt and rebuild your financial life. This holiday season don’t depend on your credit cards. Come up with a budget and a plan. Adjust your family’s expectations for the season and remember that quality time is more important than big ticket gifts. The holidays should be spent with your family, not with your bills.